Adobe has released the third generation of its genre-defining Creative Suite set of applications. The programs in the box include industry standard app Photoshop and Adobe's page layout package InDesign. This version of the software has been long awaited, since it's the first version of the software to run natively (without emulation) on Intel Macs. The PC version of the software is also fully Windows Vista compliant - not that most of the companies using these apps will have even thought about jumping on the Vista bandwagon yet. Earlier versions of the software could be run on Intel Macs, but were slow as they had to use Apple's Rosetta emulation technology to run. Late Power PC Macs and Windows XP are also supported. The release of CS3 is also the first major Adobe release since it took over web design master Macromedia, well known for its Flash and Dreamweaver suites. As a consequence, there is a plethora of different versions of CS3, as today's announcement not only includes the core print apps like InDesign, but also web developer-orientated software, too. Adobe has chosen to stick with the best software and best brands from the Adobe and Macromedia product lines. Therefore, Adobe's web design package GoLive exits in favour of the genre-defining Macromedia Dreamweaver. "Creative Suite 3 is the biggest launch in Adobe's 25 year history and a milestone for the creative industry," said Bruce Chizen, chief executive officer of Adobe. "This release reflects the powerful integration between Adobe and Macromedia and how our products bridge the gap between designers and developers." Creative Suite 3 Design Premium (£1,409) is a toolkit for print, web, interactive and mobile design while Design Standard (£895) focuses on professional print design and production. Creative Suite 3 Web Premium (£1,195) combines the leading web design and development tools and Web Standard (£705) serves the professional web developer. Standalone and upgrade versions of standalone apps are also available - Photoshop CS3, Photoshop CS3 Extended, InDesign CS3, Illustrator CS3, Flash CS3 Professional, Dreamweaver CS3, Adobe Premiere Pro CS3, and After Effects CS3. 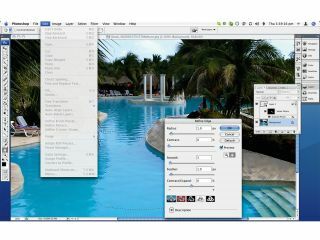 We previously reported on the fact Adobe was to release a second version of Photoshop (known as Extended), aimed at highly technical markets such as automotive design. The software will ship in April.